On October 30, 1908 W. T. Ferguson applied for a building permit to construct “west of San Mateo Street, corner of Myrtle Avenue at 902 West Fern Avenue”; for owner D.N. Findlay at an estimated cost of $3,000. Thus, the house we see today sits inconspicuously amongst a track of modern houses. A prominent but unusual feature of this Craftsman bungalow style house is the bell cast gable roof. This style, which was influenced by the English Arts and Crafts movement, originated in southern California but was quickly spread throughout the country by pattern books and popular magazines. This two and a half story structure with raised concrete foundation has wide exposed eaves and triangular brackets which are typically Craftsman. Today the roof material is composition shingle with multiple planes which are another feature of the Craftsman style. Siding is overlapping planks. The house has two chimneys of random fieldstone or cut-stone masonry to match the retaining walls, porch piers, foundation, and flared front columns of the house. A concrete porch is asymmetrically placed beside the front door and is flanked by flared columns as well. The front door is vertical wood plank with six small square windows and two large decorative metal brackets flanked by matching multi-pane sidelights. All are trimmed with plain molding as are all the remaining windows which are also primarily multi-pane. On the north side there is a rectangular bay window on the second floor level with a nearby balcony accessed by a full multi pane door. At the rear of the house is a large shed dormer similar to the one at the front of the house. The port-cohere, standing proudly over the drive, has an enclosed room at the second floor level which has been added and is not in the original photos of the house. Daniel Nicol Findlay was born in Ontario Canada but first moved to Redlands in 1882; when he was 21 years old. However, the very next year he removed to Riverside and there he started a mercantile business often visiting Redlands while playing on the Riverside baseball team. In 1893, during the month of June, he married Lena Stillwell. Their son, D. Stillwell Findlay, was born in 1896. Then in 1901 Findlay moved back to Redlands; residing at 245 Alvarado Street with his young family. A daughter Elizabeth Belle arrived in 1902. In 1907 Mr. Findlay purchases a large track of land, about nine and one half acres, on Fern Avenue from Henry Fisher and promptly planted Washington Navel Oranges. Then in 1908 he buildt a carriage barn, of his own design, followed by the house. 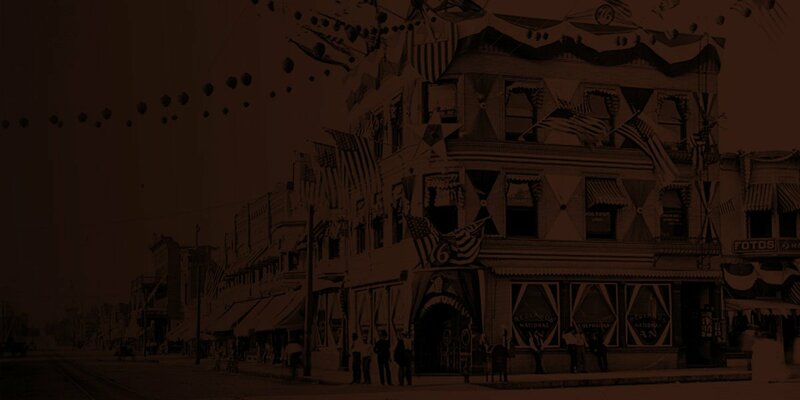 During this time Findlay operated a men’s clothing store with Edward D. Reid, known as Reid & Findlay, at 218 Orange Street in Redlands. Mr. Findlay chose to retire in Pasadena and died there in 1932. Sometime during the 1920s the address of this property changes from Fern Avenue to Lakeside Avenue when Myrtle is renamed. This, coupled with the tract name change from Monte Vista to West Redlands along with lot number changes and illegibly penciled assessor records, makes following the chain of ownership impossible. The street received the name “Lakeside” because A.E. Taylor operated the local brickyard in this area. So much adobe clay soil had been dug for brick making that it formed a depression in the land and during heavy rains the water would collect forming a small lake. 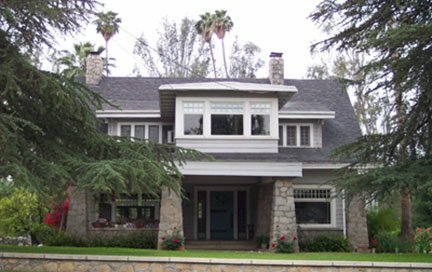 The Redlands Area Historical Society, Inc. commends Daniel and Diana Cozad for purchasing this historic home in 2003, which adds so richly to its neighborhood, and taking on the task of maintaining it for generations to come.